Since When Was Free-Loading A Conservative Value? There are several ways to see the campaign of FreedomWorks and others to persuade young adults to forswear getting health insurance through Obamacare. Perhaps it’s a publicity stunt, a way to vent against what the protestors see as the creeping leftist collectivism of our time. Or it can be seen as sabotage – a spiteful bid to undermine the effectiveness of a law, duly voted on by Congress and backed by a twice-elected president. But what it cannot be seen as, it seems to me, is a principled conservative defense of individual freedom. For conservatives, freedom is always coupled with personal responsibility. Your right to be free from government interference is also an implicit statement that you can take care of yourself – and won’t at some point suddenly change your mind. This is the core of conservative libertarianism: an assertion of radical independence, responsibility and self-sufficiency. In many areas, this makes perfect sense – but healthcare isn’t one of them. Disease and accident make no distinctions among us. And since 1986, hospitals have been legally required to treat anyone seriously ill who presents himself at an emergency room, with clear medical needs. In the most fundamental way, that was the moment the US socialized medicine – and Ronald Reagan signed the bill. Alas, like so many Reagan domestic initiatives, there was no federal money provided to pay for this. And we all know what happened next: all those extra costs for the uninsured drove up premiums for everyone else, drove up hospital costs, giving them a reason to raise prices even further, and played a role in rendering healthcare unaffordable for many others. What Obamacare does, like Romneycare before it, is end this free-loading. The law is telling these young adults that if you want to go without insurance, you are not going to make everyone else pay for it if your risk-analysis ends up faulty. You have to exercise a minimum of personal responsibility to pay for your own potential healthcare. In other words, rights come with responsibilities in a liberal democracy. At least that is what I always understood the conservative position to be. So why is an allegedly conservative organization actively encouraging personal irresponsibility? Why are they encouraging one sector of society – the young and the fearless – to rely on everyone else’s sacrifice to get bailed out if they have an accident, or contract cancer, or need a hospital to deliver a baby? This is not freedom as the Founders understood it; it’s recklessness, irresponsibility and short-sighted selfishness. Now, if the twentysomethings cannot afford it, it’s one thing – and part of our healthcare cost crisis. But now that Obamacare has removed that excuse and demands that every citizen actually contribute to the insurance pool, that completely defensible excuse is over. No more free-loading, in other words. So I ask again: why is free-loading now a conservative value? Nor is there any reason why the state should not assist the individuals in providing for those common hazards of life against which, because of their uncertainty, few individuals can make adequate provision. Where, as in the case of sickness and accident, neither the desire to avoid such calamities nor the efforts to overcome their consequences are as a rule weakened by the provision of assistance – where, in short, we deal with genuinely insurable risks – the case for the state’s helping to organize a comprehensive system of social insurance is very strong … Wherever communal action can mitigate disasters against which the individual can neither attempt to guard himself nor make the provision for the consequences, such communal action should undoubtedly be taken. 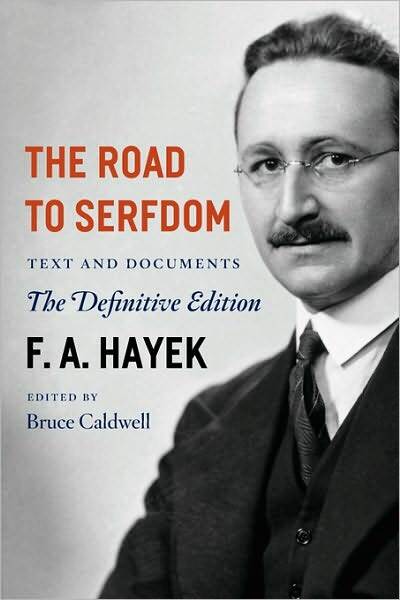 That’s from The Road To Serfdom, one book of the libertarian and conservative Bible. And it’s common sense. It’s leveraging a simple principle – pooling risk – and extending it as far as possible to guard against the “common hazards of life.” There is nothing leftist or socialist about it. And it demands that each of us be personally responsible for the costs our own encounters with illness or accident impose upon our neighbors, rich and poor, young and old. If FreedomWorks were consistent, it would encourage twentysomethings to “burn their Obamacare card” while simultaneously pledging never to seek medical care under any circumstances. That would be coherent, if bonkers. What’s incoherent is claiming that refusing to contribute to a system you nonetheless intend to use is anything but a scam. In fact, what FreedomWorks is encouraging is the real socialism. It’s using the 1986 law to force hard-working Americans to pay for free-loaders’ care. Since when did conservatives believe in that forced redistribution of wealth from the hard-working to the reckless? Since when did conservatives prefer socialism to personal responsibility? Since Barack Obama proposed it, that’s when.